No matter how healthy a lifestyle you try to lead, in today’s world, exposure to some poisons is unavoidable. Phthalates, hormone-disrupting chemicals and hidden antibiotics are being discovered in surprising places. Many food additives once considered safe, such as carrageenan, are showing harmful properties as new studies are performed. As there is no way to keep away from all poisons entirely, it is pertinent to your health to make safely detoxifying your body part of your wellness routine. Among the most common chemicals present throughout our modern world are hormone-disrupting chemicals, found in sunscreen, vinyls, hair dye, flame retardants, cleaners and can linings, to name only a few sources. The various chemicals with hormone-disrupting properties found in these types of items can lead to endocrine issues, such as thyroid problems, fertility difficulties, heart disease, fibroids and a heightened risk of certain cancers. They have also been linked to obesity and ADHD. 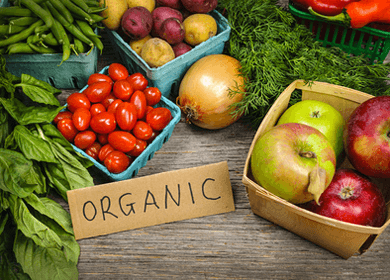 If you think you can avoid everyday poisons by eating organic, think again. It was recently discovered that the USDA has been using two different antibiotics in organic apples and pears since 1990. Outrage concerning this discovery brought about a promise by the USDA that the use of these antibiotic treatments will be stopped by mid-2014. Another additive present in organic foods that was once considered safe is carrageenan. Carrageenan is a natural binder and thickener derived from red algae and used in a huge variety of foods. These include low-fat items, dairy, and many health-food products such as flax and coconut milk. Physician Joanne Tobacman of the University of Illinois College of Medicine has spent the last twenty years researching carrageenan, and concludes that this substance causes inflammation and digestive issues, including inflammatory bowel conditions, and also speculates a connection between carrageenan and colon cancer in lab rats. She is currently involved in petitioning the USDA’s Natural Organic Standards Board to have carrageenan banned from organic foods. To this day, her efforts have not been heeded by the USDA. Given the toxic state of so many of our everyday food items and household products, the question remains: what can we do about it? Routine detoxification of the body is a time-honored way to expel built-up chemicals and other waste materials. Juice fasts and vegetable cleanses are two popular methods, but be aware that a cleanse is a serious undertaking, and can be an intense process for the body to undergo. They can even be dangerous if you have previous health issues. Many juice cleanses, for example, last for an entire week and limit the daily calorie intake to 1,000 calories or less, and eliminate fats and proteins entirely for the span of the cleanse. Make sure to speak to a naturopathic professional before you begin a cleanse, to make sure you select the right one for yourbody type, state of health, detox needs, and schedule. Research has shown that one of the absolute best ways to keep your body free of toxins is to take a daily probiotic. Probiotics are beneficial bacteria and yeast strains which restore balance to the digestive system by controlling the levels of naturally-occuring harmful bacteria in the digestive tract. They have also been shown to improve immune function, prevent liver disease and allergies, as well as alleviate inflammation. A recent study published in the journal Nutrition found that probiotics aid in full-body detoxification and help rid the body of dangerous bacteria, heavy metals and free radicals. They accomplish this by boosting the body’s natural antioxidant processes. On top of that, a 2010 study in the European Journal of Clinical Nutrition reported that taking a daily probiotic for twelve weeks decreased belly fat in participants by an average of 4.6 percent. This may be due to stores of environmentally-acquired garbage stored in the belly and finally allowed by probiotics to exit the body. ProX10 is an effective, yet gentle probiotic which helps restore bountiful gut bacteria. With the constant barrage of toxins modern Americans face on a daily basis, the accumulation of these toxins must be consciously controlled. Hey Buddy!, I found this information for you: "Organic Lifestyle? Why It’s Still Important to Cleanse & Detox". Here is the website link: https://www.thealternativedaily.com/organic-lifestyle-why-its-still-important-to-cleanse-detox/. Thank you.